In our last post, we talked about how important it is to have straight teeth: Not only does having straight teeth improve your confidence, it also leads to improved oral health. To help patients from Coplay and beyond achieve a straighter smile as discreetly as possible, Dr. Salivonchik offers care with the Invisalign cosmetic braces system. Traditional braces move teeth using metal brackets and wires. But Invisalign doesn’t do this. Instead, this revolutionary orthodontic system uses a series of clear, custom-made trays. Before you begin treatment, Dr. Salivonchik will work closely with you to design every one of the trays that will end up in your treatment kit. Each tray will help guide your teeth into their ideal position over a period of months, until you finally have the straight, beautiful smile you’ve wanted. As you go through treatment, you’ll wear each aligner in your treatment kit for about two weeks. Because there’s nothing to tighten, you can look forward to fewer office visits. You can also enjoy other benefits, like an unrestricted diet and the ability to remove your trays for brushing and flossing. 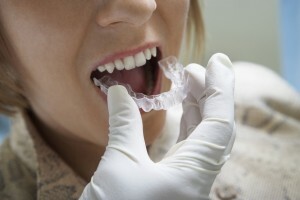 Do you want to know if Invisalign is right for you? Call our Coplay office today to schedule an appointment with Dr. Salivonchik. We’re located in Lehigh Valley and serve patients from Allentown, Bethlehem, Easton, The Poconos, and beyond.